This Dish Pan is great for camping and home use. BIG , BRIGHT, AND BEAUTIFUL. 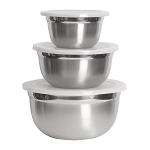 GREAT FOR GARDEN PRODUCE, CANNING CUT UPS, BABY BATHS OR EVEN AS A DISH PAN. I USE IT A LOT. EASILY STERILIZED AND STORED.